With 4 days to go Halloween is rapidly approaching! What better way to get inspired for the upcoming fright night then to throw a Skull into your daily mix! You can currently find our featured Skull Hinge Wallet and Value Hobo at Target. Fall is upon us and Winter not far behind... As the temperatures start to drop it's all about staying warm and looking hot! This super cute Mexican Blanket inspired tote at Delias is just what you need. Throw it on and instantly brighten up anything in your wardrobe. The best thing about it is how versatile it is and won't be forgotten anytime soon. 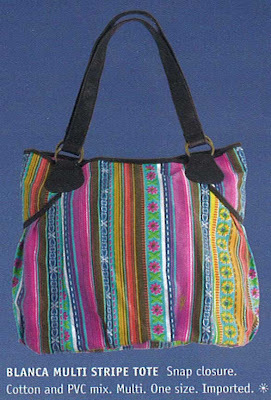 While brights continue to pop up in these cooler months ahead, this bag will be screaming "take me to the beach with you" come next summer! Check our great new handbags for fall in Target now, perfect for back to school and a great fashion bag to carry into next season! 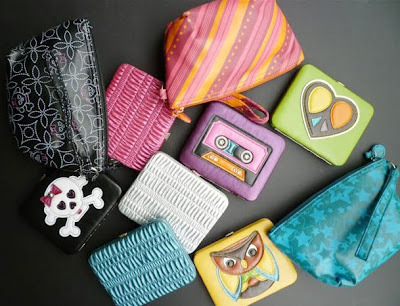 New wallets and cosmetic bags at Target! that are now in stores at Target. I can’t get enough of them, I think the owl and the skull have to be my personal favorite!